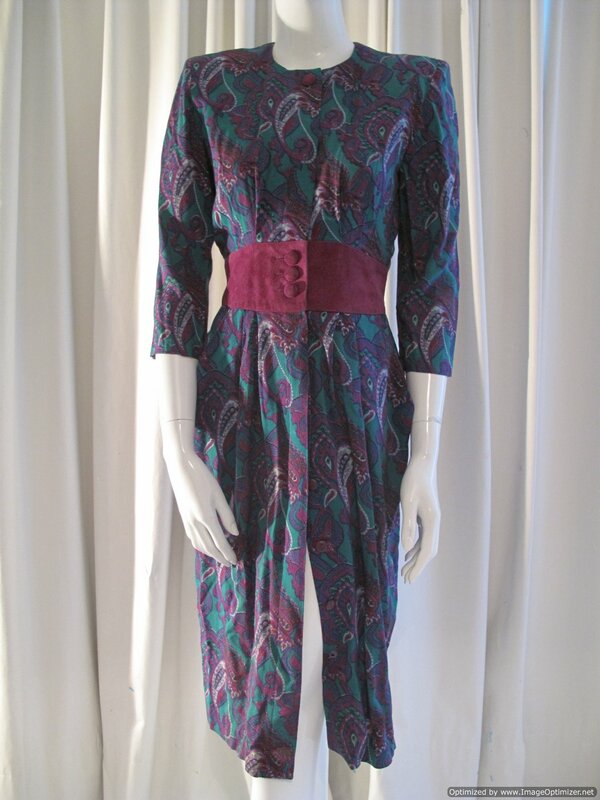 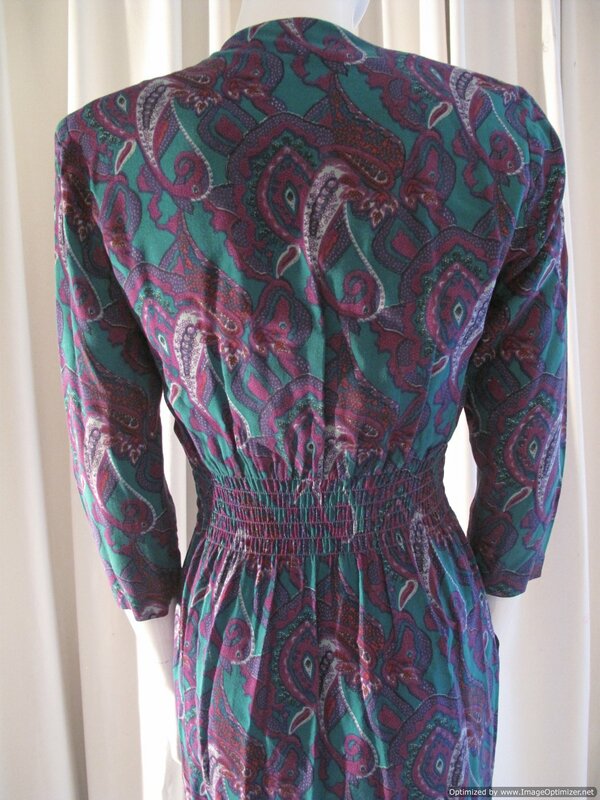 Eyecatching print in jade green, purple, mauve, black and pale blue. 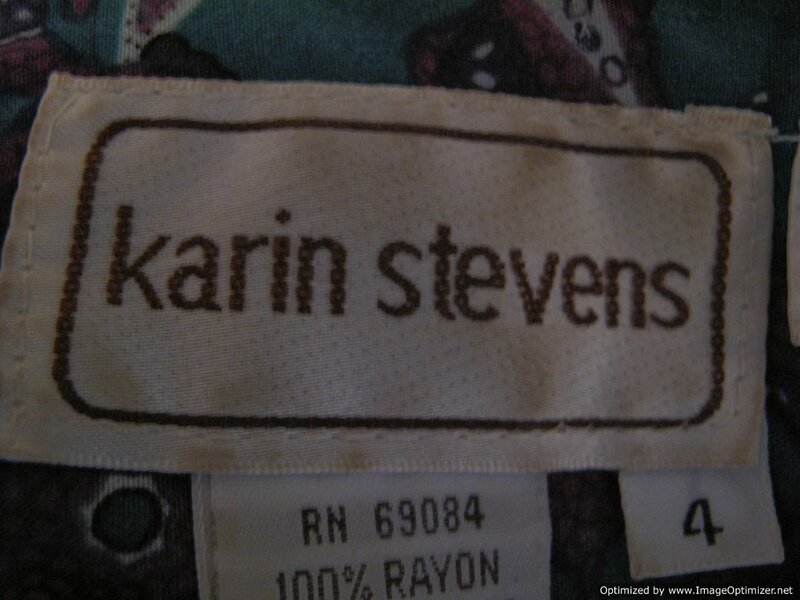 the dress has long sleeves, a round neck and buttons down the front. 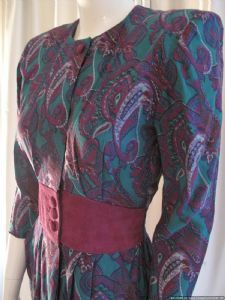 The silhoutte is classic eighties, with padded shoulders. 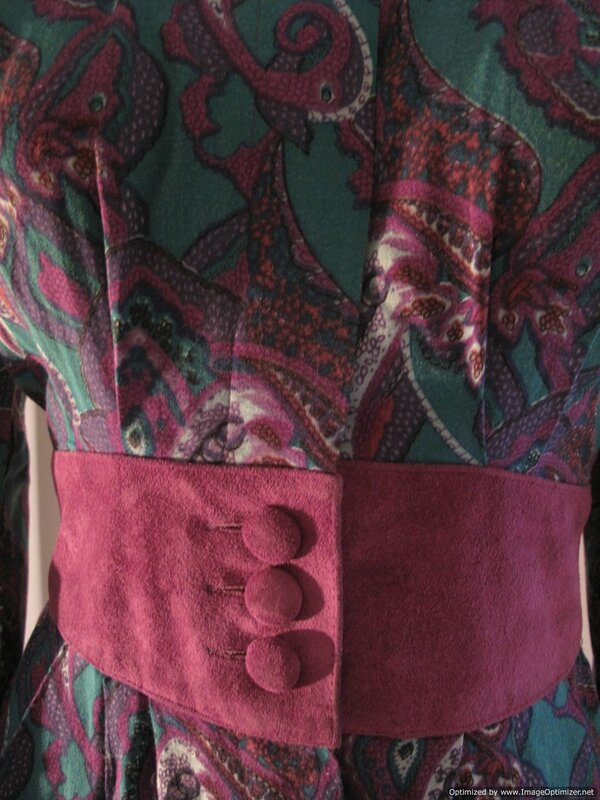 The front of the dress has a purple suede cummerband style panel with suede covered buttons.